Members of a chamber music ensemble have to play differently to members of a large symphonic orchestra. With far fewer players there really is nowhere to hide. Chamber musicians will be working hard to monitor the output of their fellow players as well as their own output in order to blend and meld their sound to create a unified, balanced and harmonious effect. Chamber musicians will be playing with a level of confidence which can inspire their fellow players. In a large concert orchestra you may be seated 20 yards away from fellow players. 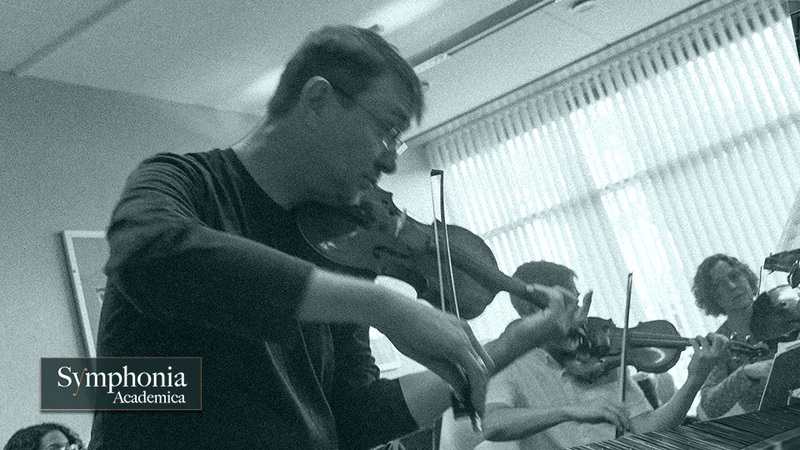 During a performance, all members of the Symphonia Academica ensemble will have the full string section within their peripheral vision so not only will our professionals be able to hear better but they'll also be able to monitor the body language for visual clues which communicate how players are performing. The purpose of Symphonica Academica is to build a repertoire of classical music pieces which can be played by an ensemble that may scale in size and which are so enjoyable to play for people who will enjoy hearing them.